Rectangular energizer ensures a stable, positive seal and provides continuous contact along the sealing surface. The filled-PTFE cap provides low friction and smooth operation for hydraulic cylinders over a wide range of high-pressure sealing applications. 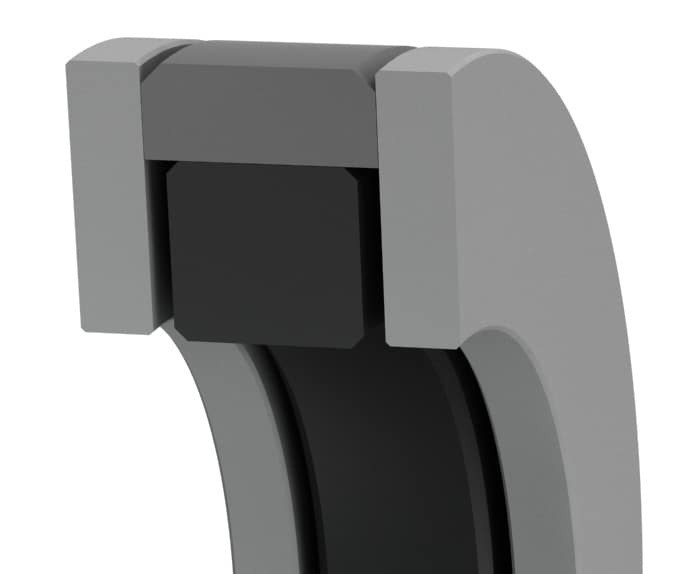 Back-up rings handle larger clearances, elevated temperatures, misalignment, high pressures and ultra-high pressure spikes. The small axial seal height reduces piston height, weight and cost. Retro fits seals of similar design. *Based on using wear rings. 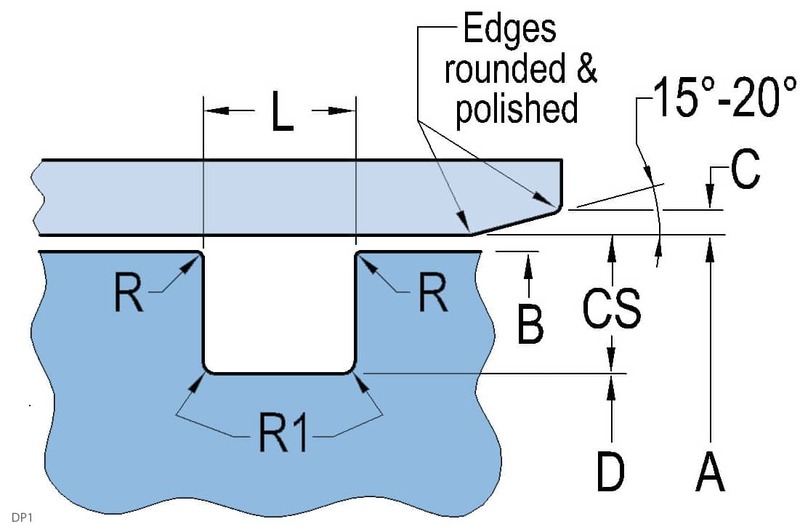 Surface finish: bore (A) Ra 4-12µin – Static (D,L) Ra max. 32µin. See Technical Info for more specific information.